A big thank you to all the Charitable Trusts and Foundations that have supported and continue to support our work! Grants from charitable trusts and foundations provide vital support for our work and we are always looking to build lasting relationships with trusts that share our vision. The Baring Foundation – We would like to thank The Baring Foundation for funding the Gateway to the Care Act (G2TCA) project, designed to provide information and support on the Equality and Care Act in order to make this legislation both more accessible and easier to use for third sector workers and services across Birmingham and the UK. The Heritage Lottery Fund – We are extremely grateful to the Heritage Lottery Fund for supporting the Evolutions of Health project which explores the differences between the between the generations, genders, ethnicities, professions and cultures found within Birmingham – the UK’s first super-diverse city – whilst recording the wider health and social heritage experiences that have affected the population over the years. 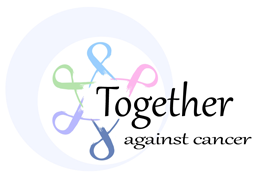 Together Against Cancer – We are very grateful for the significant donation we have received from Together Against Cancer to support our work with children and adults diagnosed with cancer in Birmingham. The grant will enable us to increase the services we are able to offer to reach more people who need our help and support at such a difficult time. Souter Charitable Trust – We would like to thank the trustees of the Souter Charitable Trust for their generous support of our community based complementary therapy programme, their donation will help us to provide more volunteer therapists that can provide support in people’s own homes. M.A.C. 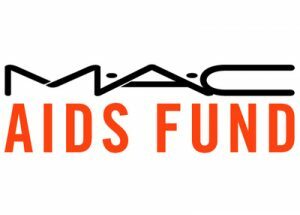 AIDS Fund – We would like to thank all at the M.A.C. AIDS Fund for their continued support of Freshwinds’ work with people living with HIV in Birmingham and the surrounding areas. Their most recent donation enabled us to provide a dedicated advice, welfare and crisis support service for African people in the greatest need. If you are involved with a trust or foundation and think that Freshwinds might have a project your organisation would be interested in supporting, please contact us to discuss projects and arrange a visit to our centre in Selly Oak.